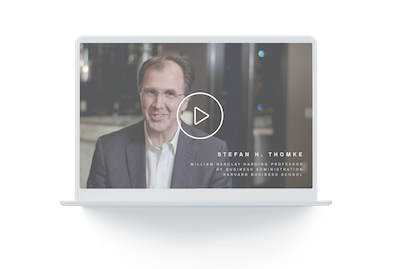 With over 25 years of experience working with leading companies, Professor Stefan Thomke of the Harvard School of Business is no stranger to innovation. And now, we're taking you behind the scenes of his brilliant session at Opticon 2018 as Prof. Thomke shares strategies for excelling at innovation through digital experimentation. Share a few contact details to access all five episodes today.